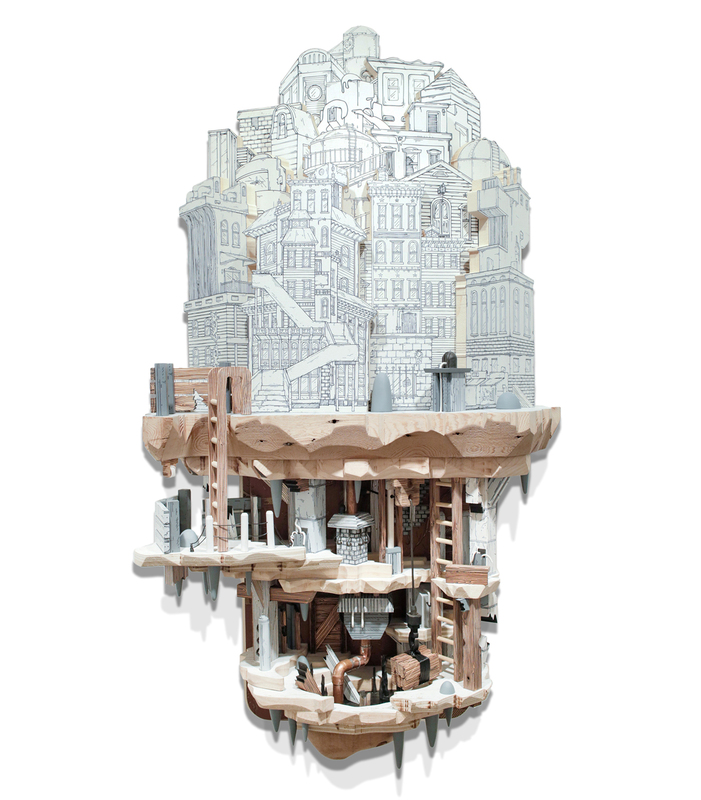 Artist Luke O’Sullivan creates architecturally inspired sculptures and prints depicting imagined places beneath cities and landscapes. Exploration and adventure are central to the work, with each piece contributing to an ongoing catalogue of a strange invented world. Early interests in Nintendo games, maps, and science fiction contribute to the playful nature of his art. Join us at 5:30PM on Tuesday, March 27, 2018, for an opening reception featuring comments by the artist.